As part of the Leicester Symphony Orchestra’s 80th Anniversary celebrations and as a contribution to the Queen’s Golden Jubilee, the Orchestra visited Strasbourg, Leicester’s twin city. The Twinning Association in Leicester provided some financial help and the Strasbourg Twinning Association’s help was vital in arranging two concerts, one at the Reithalle, Offenburg in Germany and the other at the Salle des Fêtes in the centre of Strasbourg. The Orchestra, with guest leader Julia Barker and Nicholas Daniel, the Orchestra’s new conductor, performed Imperial March (Elgar), Hansel and Gretel Overture (Humperdinck), Adagio for Cor anglais and strings (Mozart), Cockaigne (Elgar), Slavonic Dance No.8 (Dvorak) and Symphony No.3 (Brahms), to great acclaim at both venues. 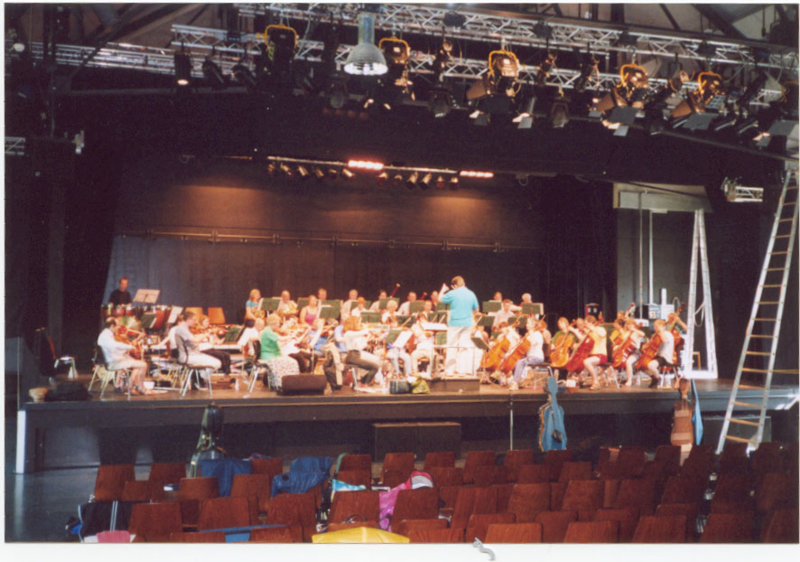 The concerts were not without their problems – three members (including 2 horn players – half of the section) had to fly out on the day of the first concert (rather than travel by coach with most of the Orchestra). Unfortunately they missed the flight but nevertheless arrived, via Geneva and the efficient Swiss/German railways, with 40 minutes to spare! 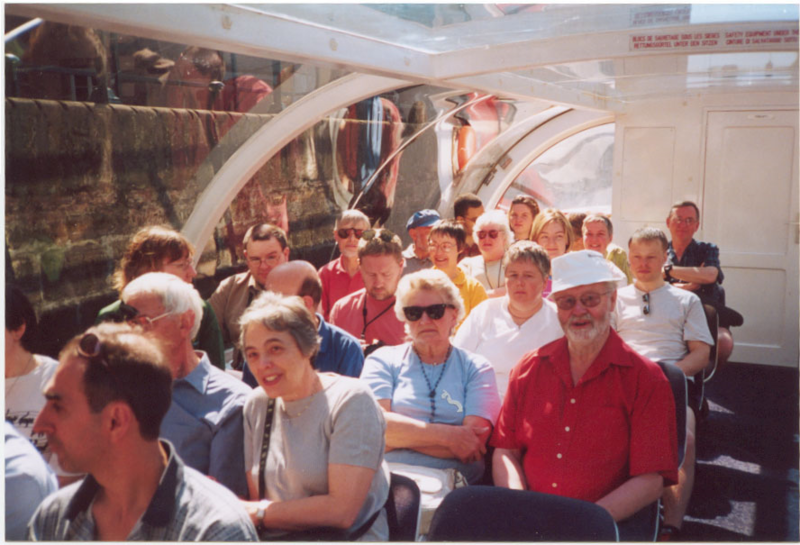 The tour was not merely a musical event but had a social content and this included a free introductory sight-seeing boat trip around the Strasbourg waterways and free entry to the Museum of Modern Art, both kindly arranged by the Strasbourg Twinning Association. The waterway trip encompassed not only the sights of the old city, but also the modern buildings of Strasbourg, notably the European Parliament building and the buildings of the other European institutions which displayed spectacular modern architecture. There were opportunities to explore Strasbourg and the surrounding countryside, both as a group and independently. The nearby Vosges region of Alsace is attractive and includes many beautiful towns and villages. 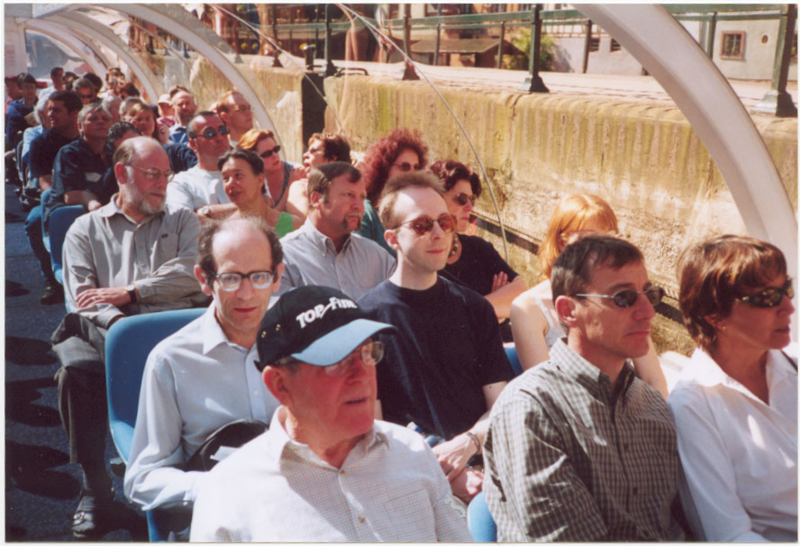 As part of the exploration, the Orchestra’s coach followed the “wine route” through the Alsace vineyards, culminating in a tour of the Klipfel vineyard with wine-tasting, recommended by the Twinning Association. The final event in Strasbourg was an evening meal at a quaint but very efficient restaurant, over-looking the river Ill at the heart of old Strasbourg: not only did the restaurant provide an excellent meal for about 70 Orchestra members but also high-class entertainment by an amazing violin/accordion duo and a charming French chanteuse. Two members of the Orchestra could not resist the limelight and rendered a Stanley Holloway monologue, followed by a song, to the delight of the diners (not only the Orchestra members!). The short speech at the meal was restricted to votes of thanks – to those organising the tour, the players (including several Leicester players not regular members of the Orchestra), our long-suffering coach driver, Mike and, not least, the Twinning Association whose help was invaluable and contributed in no small measure to the success of the tour.